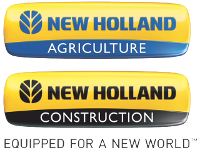 New Holland Agriculture and Construction, servicing East Tennessee, mainly Blount, Knox, Loudon, Union, Anderson, Sevier, and Roane. Call on us at any time to keep your equipment in top shape. Waters' Equipment Co., Inc. in Maryville, Tennessee, is available 24 hours a day for your needs in heavy equipment repairs and parts. Count on us as dealers for almost 200 makes and models of heavy equipment parts and service needs. Look to us for the parts you need on any make and model. Count on the professionals in our state-of-the-art service shop to handle your needs in engine transmission, parts, and hydraulic rebuild capabilities, full parts department. As having one of the largest Dyno® testing equipment for engines and transmissions in the southeastern United States, let us Dyno®-test your engine and transmission. Waters Equipment Co., Inc. has rebuilt engines and transmissions since 1973 and built a reputation for reliable and durable rebuilds. Our Rebuild Shop technicians and our Parts technicians are factory trained in the brands that we are an authorized dealer for. With our Dyno®-test equipment, we can catch any minor problem with an engine or transmission before it is installed and turns into a major repair with unnecessary down time for the customer. Contact us for repairs and parts on your heavy equipment.